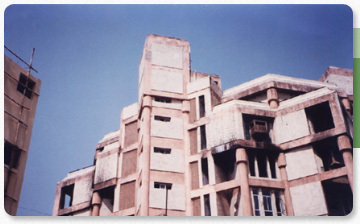 Details: The Alok Bharati building is a commercial complex that houses a number of reputed companies. 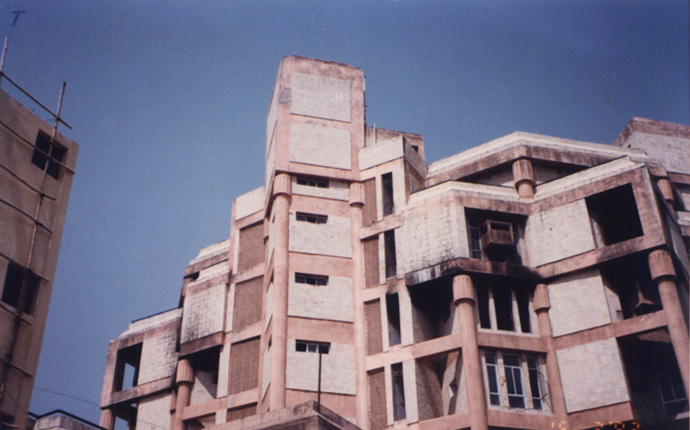 Challenge: A fire broke out on the 5th floor of the building causing sever damage to all structural members, including columns and slabs, with spalling of concrete at various spots. 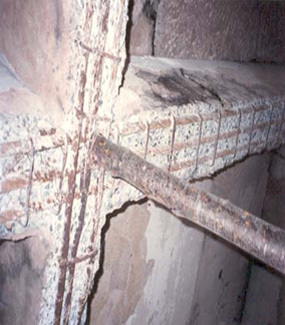 Solution: Ultrasonic Pulse Velocity (UPV) and Rebound Hammer Test were conducted to assess the strength of the concrete. Spalled portions and defects were rectified by epoxy injections and guniting, and additional reinforcement was provided to strengthen the structure. Leakage of the 5th floor slab was also rectified by providing acrylic based composite coating. Post-repair tests and load tests were conducted post-restoration to confirm efficacy of the rehabilitation measures.